For the third year in a row, the Aquarium is fielding a team of runners who will take on the Boston Marathon. Runners hail from all corners of the United States: Virginia, Kentucky, Texas, Florida, Georgia, Washington, DC, and Washington state. 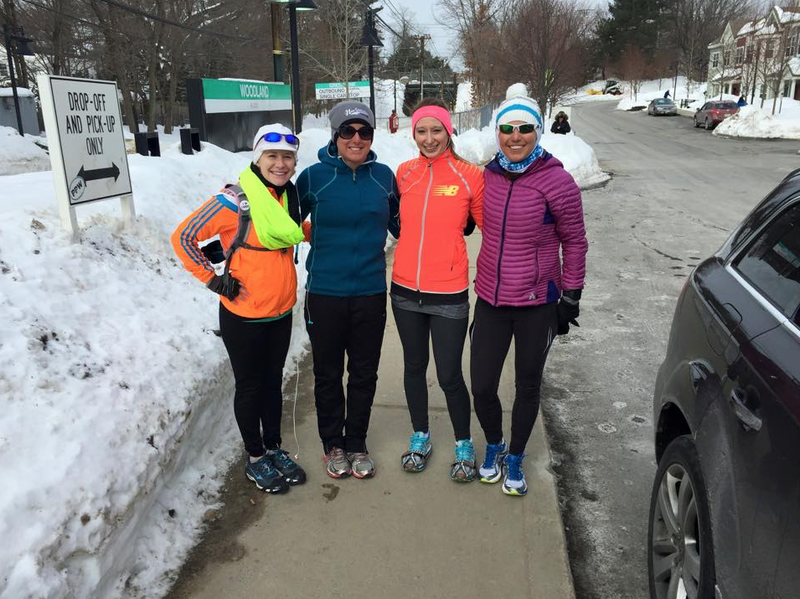 There's also a large contingent from the Boston area, which means runners can gather for training and camaraderie during weekly long runs. 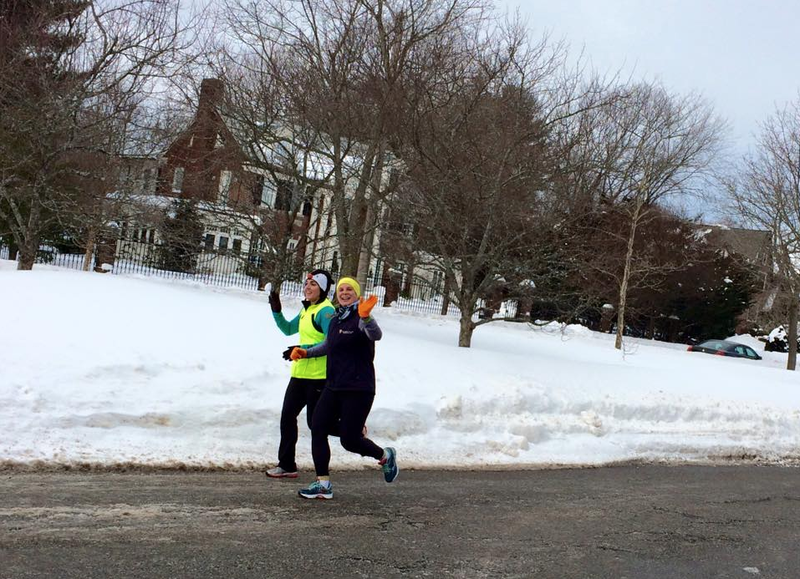 who lug sports drinks and snacks to runners along the way! In addition to training, these runners are all raising money in support of the Aquarium's outreach programs, which bring ocean education to local classrooms and after-school programs throughout the Boston area. These encounters with traveling tidepool animals and Aquarium educators are sometimes a child's first encounter with the sea. Engaging with these bright and enthusiastic students is a way to inspire future ocean protectors! But before the classroom magic and the runners' dates with the finish line, they have to make the miles. 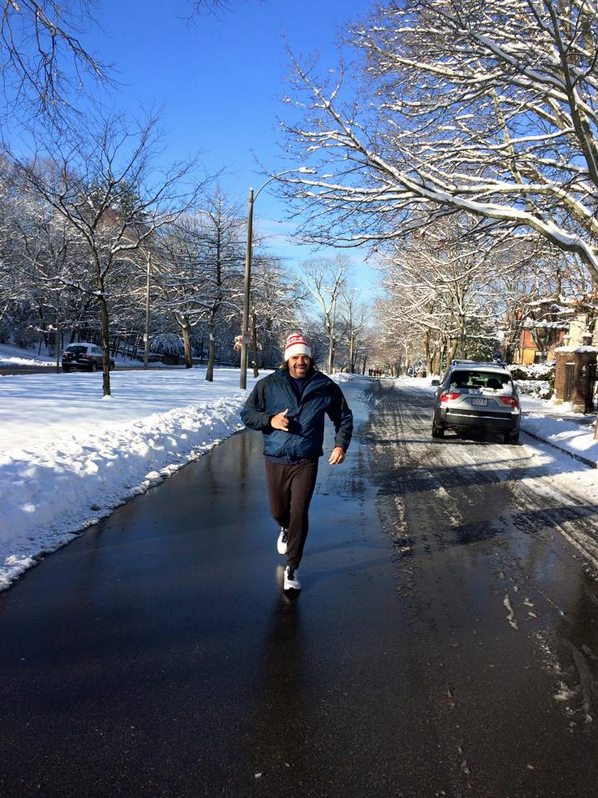 It's been a challenging year to train for our local runners because of all the snow. 8 feet of snow, in fact! 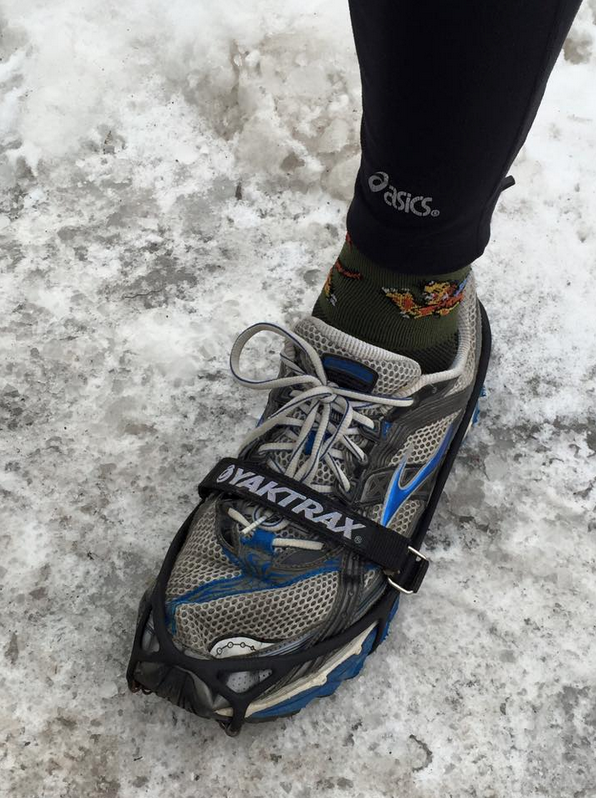 Microspikes and other traction tools are a helpful addition to sneakers on icy, snow-packed sidewalks. Warm hats, mufflers, gloves and lots of layers are also key in the numbing cold. So far this group has been up to the challenge! There has been some creative fundraising (have you seen the "H2O" Frozen parody? did you try the cookies at those tasty bake sales?) 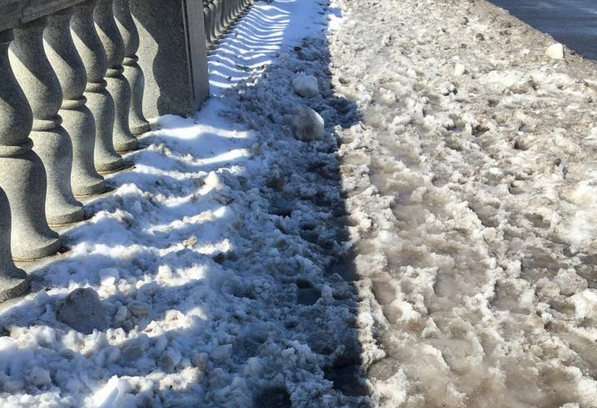 and hundreds of combined miles logged on snow-muffled streets and sunny sidewalks around the country. Visit the marathon page on our website and get to know the runners. Each has created a personal fundraising page that shares a little bit about why they're running this race, including many inspiring connections with the oceans. 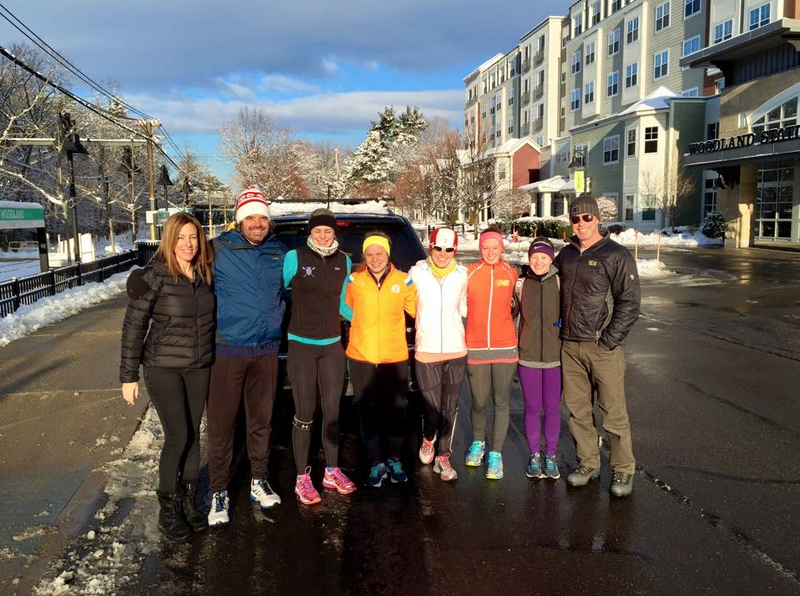 Consider supporting a runner or the team as a whole. And stay tuned for more updates about the team as we count down to race day on April 20, 2015.